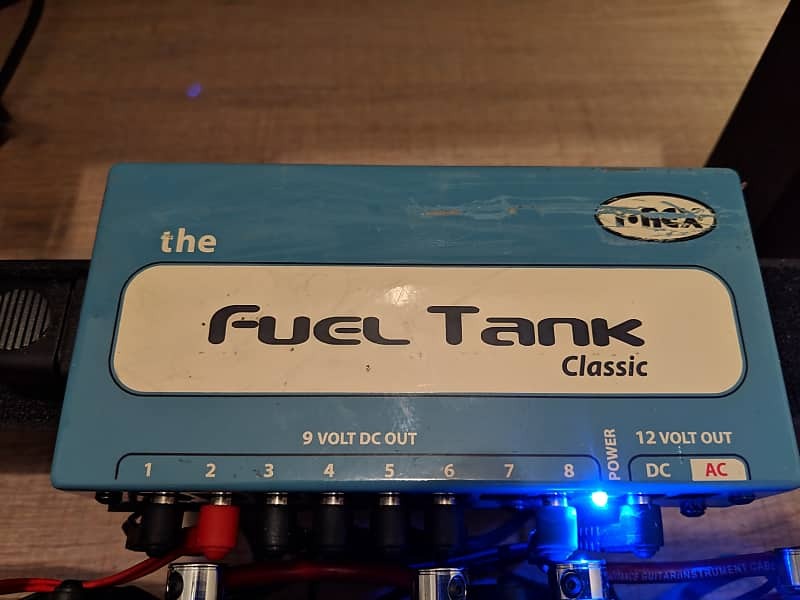 Up for sale is my T-Rex Fuel Tank Classic. It works perfect aside from a large scratch in the paint job across the top, as you can see I'm still using it. I just want to expand my pedalboard to a larger power supply. It comes with the original packaging, x8 DC cables, x1 Daisy chain, and a power cord.